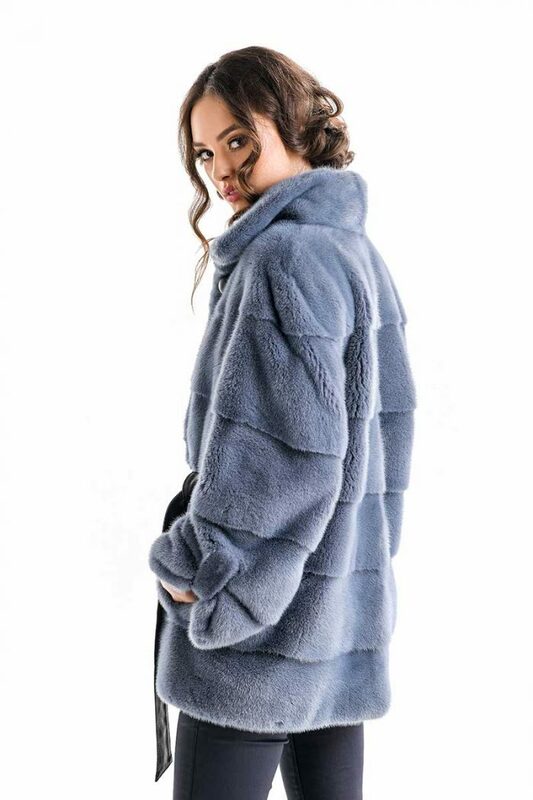 This women’s coat is made of mink fur of the highest quality, being a real investment in your wardrobe for the cold season. 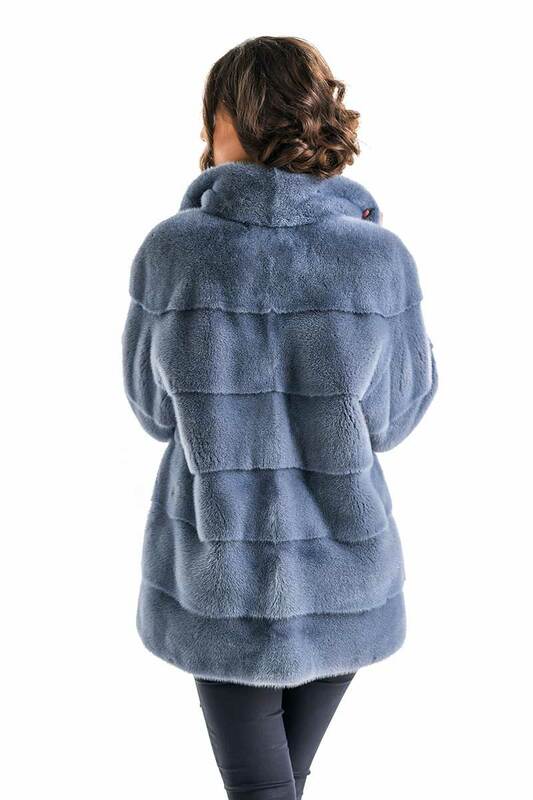 Warm, comfortable and feminine, this mink fur coat will make you feel pampered at every occasion. The dense and soft texture of the fur provides comfort and protection against cold, the inside of the coat being padded. This coat closes with clips and with a cord and a button, highlighting the waist line. The high collar of the coat protects the neck area from the harsh winds of autumn and winter.